Copper is one of the oldest metals known to man, used for improving societies and cultures since the ancient Egyptians began using it circa 5000 BC. Closely related to silver and gold, copper shares many of the same properties. Copper and its alloys are widely used in deep draw and stamped products because they have excellent electrical and thermal performance, good resistance to corrosion, high ductility and relatively low cost. 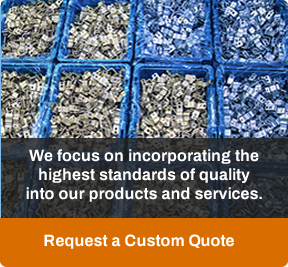 Winzeler Stamping Company is a manufacturer of copper products and components. Copper and its alloys (e.g. Brass, Bronze) are used by virtually all industries because of the versatility and ease of use characteristics it offers. Our experience extends to industries such as Plumbing, Hardware, Automotive, Appliance, Fluid Handling, Electrical, as well as other commercial applications. Copper is easily blanked, pierced, formed, and deep drawn. 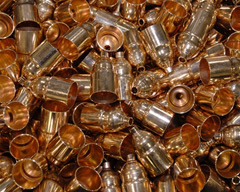 Our Engineering & Design team can help you determine if copper or one of its alloys is appropriate for your component and help you optimize your design for manufacturability and performance. Contact Us to get started on your project.